Ecommerce personalisation software PureClarity is the latest company to confirm it will be exhibiting and speaking at eCommerce Show North. The largest of its kind in the North, eCommerce Show North promises to be an unmissable event for all those with a connection to the ecommerce sector. 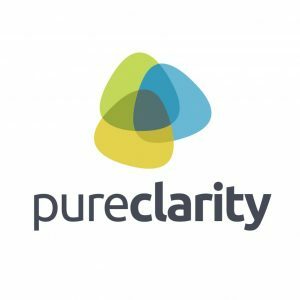 PureClarity is a software solution developed solely for the ecommerce industry that has been proven to increase online revenue by personalising the entire user journey, including personalised site search, personalised merchandising and automated email marketing. The solution uses a specially designed artificial intelligence engine, hybrid algorithms and advanced data gathering to present highly relevant products and results to website visitors as they browse. Already adopted by a plethora of leading ecommerce companies including The Royal British Legion, USA-based Safco and Style Our Home, PureClarity will showcase its features to attendees. The two-day expo will take place at Event City in Manchester on October 11th and 12th 2017, and will feature leading exponents of ecommerce with businesses specialising in the full range of available services and solutions. UKFast is the headline sponsor will event partners Endless Gain, Space48, Digitl and dotmailer. Delivered by Prolific North and Don’t Panic Event Management, the event will have capacity for around 120 exhibiting businesses and up to 5,000 attendees. There will also be a huge range of industry presentations and specialist businesses talks, conference sessions and seminars including an ecommerce personalisation speaking session by PureClarity chief technical officer Ian Lawton and sales and marketing director Paul Doherty. Lawton said: “With headquarters in York, UK, we are delighted to be part of an event that unites the ecommerce community and highlights the skills, experience and innovation delivered by some of the UK’s leading companies based in the North.